FORT JACKSON, SOUTH CAROLINA, USA, November 16, 2018 /EINPresswire.com/ -- Fernando Guadalupe has served his country for years in the U.S. Army, but he finds time to give back to his community through various outreach programs and organizations. Through World Vision Charity, he tackles the causes of poverty and injustice to help communities reach their full potential. 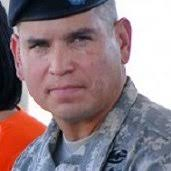 US Army Officer and Colonel Fernando Guadalupe protects his country on multiple plains, helping secure safety from international threats in service and strengthening his community by giving back as a civilian at home. “People don’t realize there are so many ways to protect their country which don’t require them to enlist or serve in war. Civilians right here in our communities need our help. Neighbors need our help. We can protect families and improve our society with just a little bit of our free time,” says Fernando Guadalupe. Besides demonstrating heroism in over 20 years of service in the Army, Fernando is a regular sponsor of outreach programs and nonprofit organizations. He’s worked with Meals on Wheels to deliver food to civilians unable to prepare their own, and he’s volunteered with the Missionaries of Charity to assist the less fortunate in our neighborhoods with food, clothes, and company. Fernando Guadalupe is also a longtime sponsor and member of World Vision Charity, a Christian humanitarian organization helping people around the world who suffer from oppression and poverty. “The World Vision Charity is one the most trustworthy and effective programs out there today, helping to lessen poverty and injustice in almost a hundred different countries,” says Guadalupe. World Vision has been in operation for the past 65 years, using Christian models of philanthropy and love to empower those struggling in their communities. It was started by Bob Pierce in the 1950s with an initial vision to help one little girl overcome her circumstance. However, the organization grew quickly to adopt the needs of suffering individuals and their families around the world, assisting stranded Vietnamese refugees in the 70s, fighting Ethiopian famine in the 80s, and bringing the AIDS conversation to the Church in the 90s. Today, the World Vision Charity is in full motion with thousands of participants internationally. Volunteers help with food shortages and in disaster relief situations, such as Asian tsunamis and American wildfires and hurricanes. They currently assist more than 4 million children in need around the world and are widely recognized for their transformational development and their leadership. “It’s a program of people helping people, but with a Godly attitude and bright intentions for the world,” says Fernando Guadalupe. He hopes that through his own efforts, as well as with the help of other community volunteers, he can help bring the charity’s vision for the world, of positive human transformation, to light.